A great way to display a grouping of favorite decorative items is through shelving and the type of shelving you use can really set the tone of the entire display. There are lots of ways to create shelves that make a statement on their own and enhance any grouping that you want to place on them. 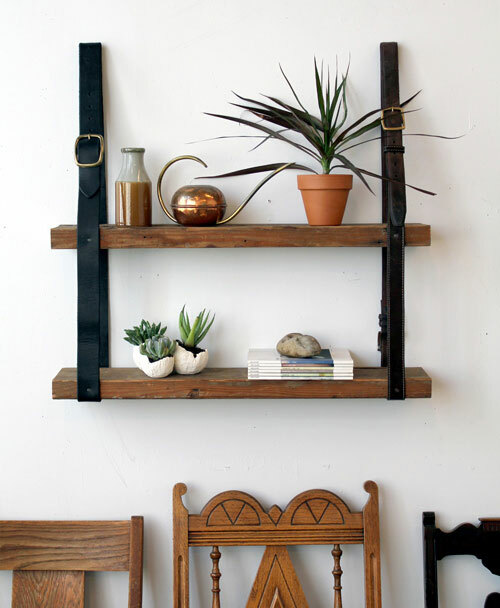 Here are some great examples of diy shelving ideas that are unique and decorative. 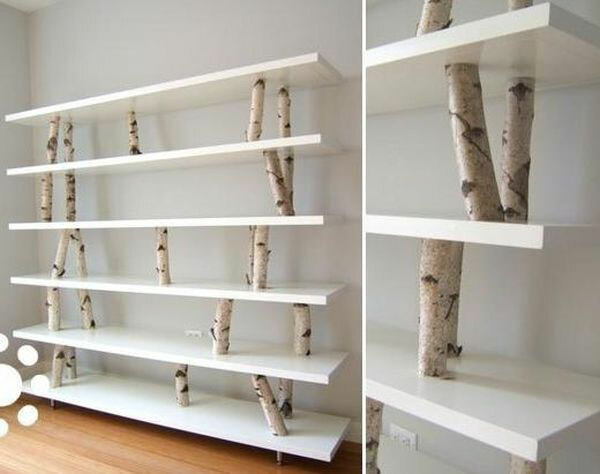 This is a fantastic idea using my favorite, birch branches, as supports between either store bought shelves or shelves you make yourself. 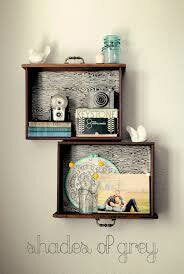 You could also use salvaged wood for a more rustic look. Here is a unique rustic diy idea using recycled leather belts. Check out the easy tutorial on this one! These homemade crate shelves fit the space perfectly for a custom look. The look is light and airy and makes the perfect base for the rest of the rustic and beachy decorative items. 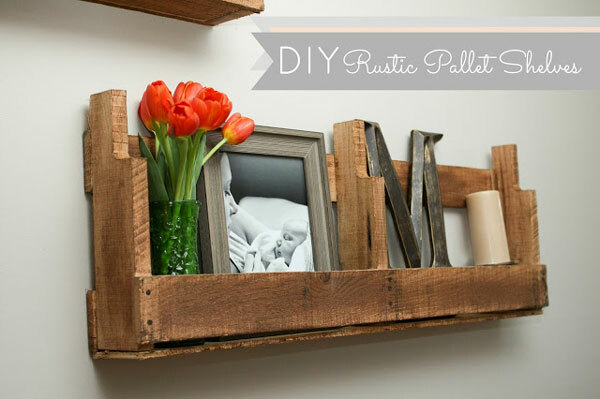 Decorating with pallets is huge in rustic decor so it makes perfect sense to use a section for a display shelf. 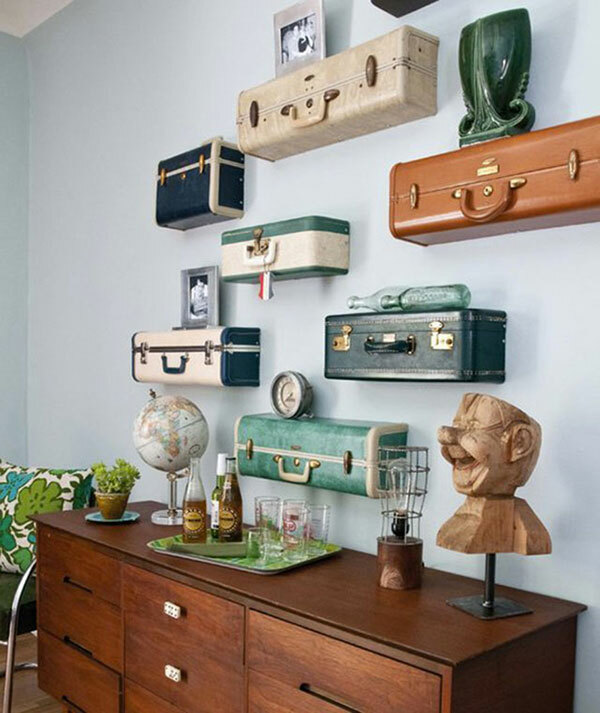 I love vintage suitcases and typically will have them in stacks on the floor…… but on the wall? This is such a fantastic and unique idea! The look is definitely one that will be a conversation starter. Click on the photo or link to check out the details on this tutorial. Old drawers make unique shelving units!